The Croatian Football Club, Dinamo Zagreb, was ordered by the European United Football Associations to play their next home game to a closed stadium devoid of fans following racist behavior by their fans. In their European League match against Beneficia, several fans had used racist taunts and chants as well as setting off fireworks, throwing objects and other unruly behaviors. The UEFA has fined Dinamo Zagreb almost €70,000 as well as requiring them to play their next match and a 2nd match without any fans present in the stadium as punishment for their fans’ behavior. UEFA Regulations, Article 14 is a specific document that specifies that any person under a UEFA member club can incur a suspension if they “insult the human dignity of a person or group of persons on whatever grounds, including skin colour, race, religion or ethnic origin.“ In addition, it specifies that the club itself is responsible if their fans/ supporters also engage in such behaviors. Consequences include stadium closure and fines as well as “additional disciplinary measures” if required. 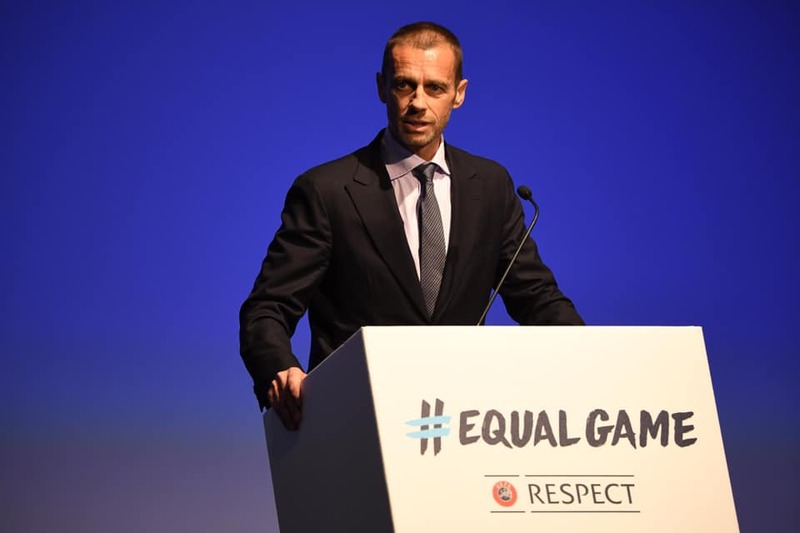 In his opening statement at the #EqualGame conference, UEFA President Aleksander Čeferin responded to the discrimination prevalent in football. “I am simply ashamed that today in 2019 we have to organise a conference that promotes diversity. I am ashamed that here in Europe not a weekend goes by without a discriminatory act taking place in a football stadium, at amateur level or professional level.” He said. What is notably missing in that statement against discrimination is sexual orientation and gender identity. Specifically in reference to the fans’ of various Polish Football Association Clubs that are members of UEFA that have displayed various homophobic and transphobic banners at several Polish Football Association Clubs’ matches. In addition, the President of the French Professional Football League which is also a UEFA member defending the use of homophobic chants and language during French football matches. Various efforts by LGBTI oriented football organizations and fan clubs have been putting pressure on UEFA to change their policies to adopt Sexual Orientation and Gender Identity. aA well as efforts to get Polish Football Association to condemn the use of homophobic and transphobic banners being displayed. All of their calls thus far have been ignored and no action has been taken by UEFA to discourage such use of homophobic and transphobic language in European football.